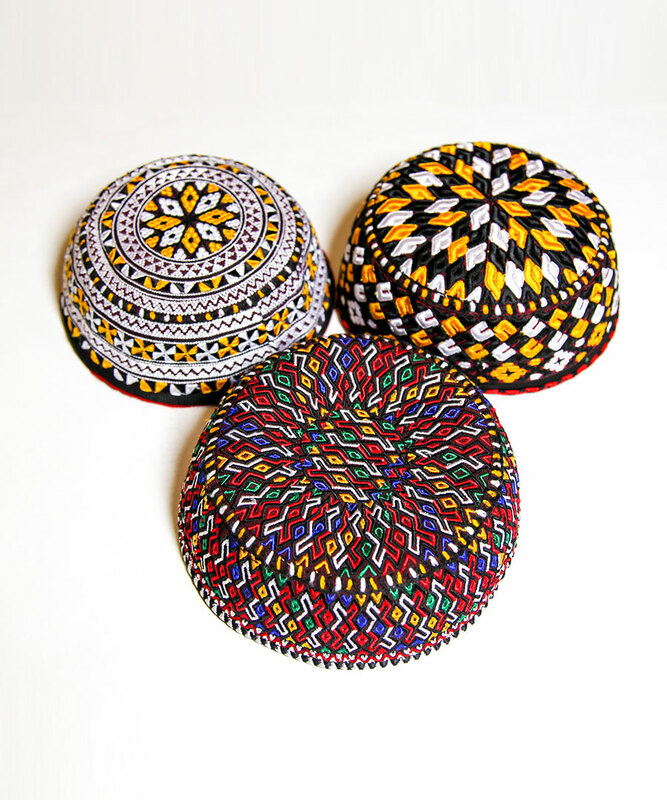 The Turkmen scull-caps are made of durable cotton fabric and are skillfully hand embroidered with colorful silk thread across the crown. These multicolored caps can be seen on the heads of grown-ups and children in Turkmenistan in combination with both the traditional and European-style clothing. Tahya serves as the demonstration of fine art of needle-work. 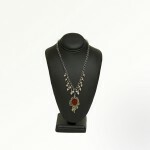 Product code: W008A. Categories: Apparel & Accessories: Men's Apparel, Children's Apparel, Women's Apparel. After attending a lecture on Turkmen culture at the museum, I was happy to be able to buy this authentic hat from Turkmenistan. It has a great story to tell my friends.